Catering to the requirements of several hotels, restaurants, food outlets and households; Jeya Shoba Enterprises is engaged as Spices, Pure Butter and Pure Ghee Exporter and Supplier in Karnataka, India. Right from Blended Spices, Grounded Spices and Guntur Dried Red Chilli, the company provides a variety of Spices to buyers all over India and the globe. Add unique color and amazing taste to the cuisines with our Organic Red Chilli Powder. Our hygienically Crushed and Dried Red Chilli Powder is absolutely pure and organic. Besides, the Pure Red Chilli Powder tested for quality, presence of foreign materials and taste. Buyers can purchase Wholesale Red Chilli Powder in different packaging quantities from us. 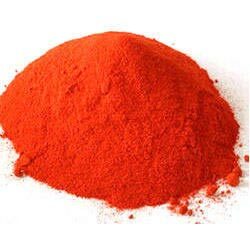 We are a trusted name as Red Chilli Powder Exporter and Supplier in Karnataka, India.